If Samsung is your favorite smartphone brand, you'll be happy to know that there are excellent deals on the Galaxy S9 and S9+ almost every week. 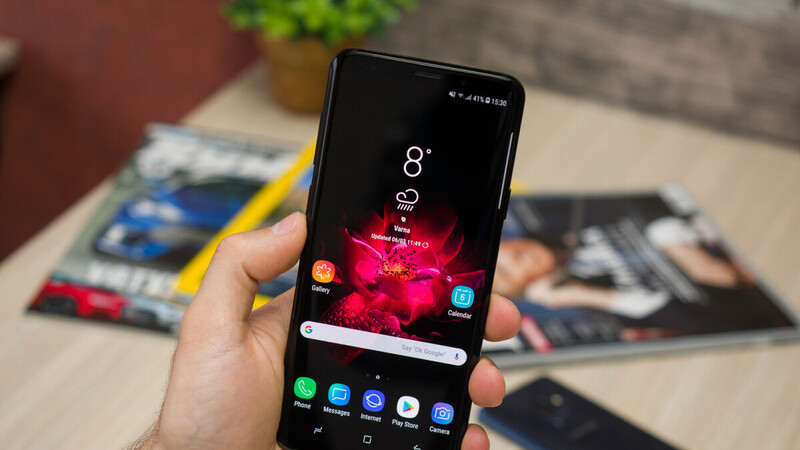 Although now it's not a good time to buy one since Samsung is about to announce its next flagship smartphone, the Galaxy S10, you might be tempted to get the Galaxy S9 instead given the much lower price. Currently, Samsung is running a deal on the unlocked Samsung Galaxy S9, which is available for $100 off. However, Amazon has it on sale for $200 off, a much better deal if you're looking to buy the unlocked version of the flagship. There are a couple of things you'll need to follow before getting the highest possible discount at Amazon. First off, you'll have to choose the 64GB model, then that Lilac Purple color. The other two color options – Coral Blue and Midnight Black have smaller discounts, and the same goes for the 128GB variant. It's also worth mentioning that the unlocked Samsung Galaxy S9 will work on any carrier in the United States, including AT&T, T-Mobile, Sprint and Verizon. And don't forget to check out our Samsung Galaxy S9 review if you want to know more about the smartphone. WTF man? Clickbaiting much? First off, it is not sold by Amazon ... huge difference in semantics ... then the color? Who buys that color?! There's 3 different colors available... It says it in both the article and in the product page itself. You can't be quick to comment and ignore important factors. No one would know that it's in the product page, because half the writers here stopped linking to deals they post about. My comment wasn't only about the colors ... it was about the fact that the deal is through third party seller ... no warranty ... don't be so quick in critiquing before understanding that there is no warranty. Misleading..... The one in the Amazon link is a Verizon model and refurbished. Clickbait. Still a good deal if you don't mind refurbs and slower software updates. NEVER click those wide blue buttons below articles, they're always barely-related ads. If the link to the deal isn't in plain text colored blue, they didn't bother to include one. I hate titles like this. Should have stated the phone is a refurbished. Garbage journalism! !